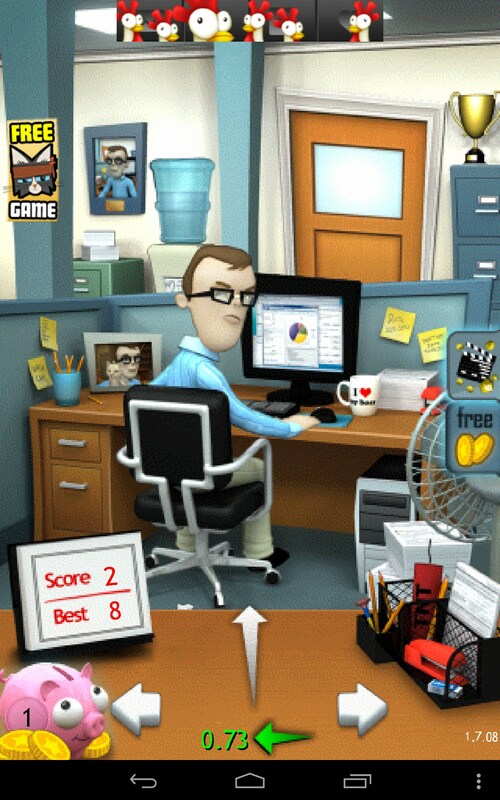 Office Jerk – Games for Android 2018 – Free download. 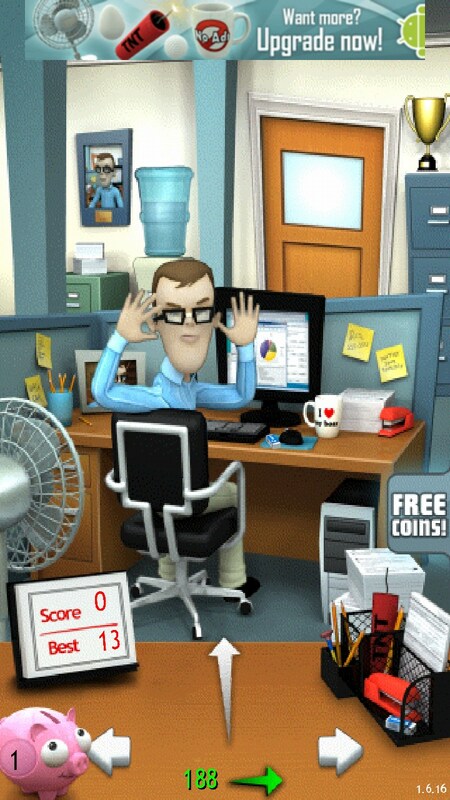 Office Jerk – Mock at the office worker. 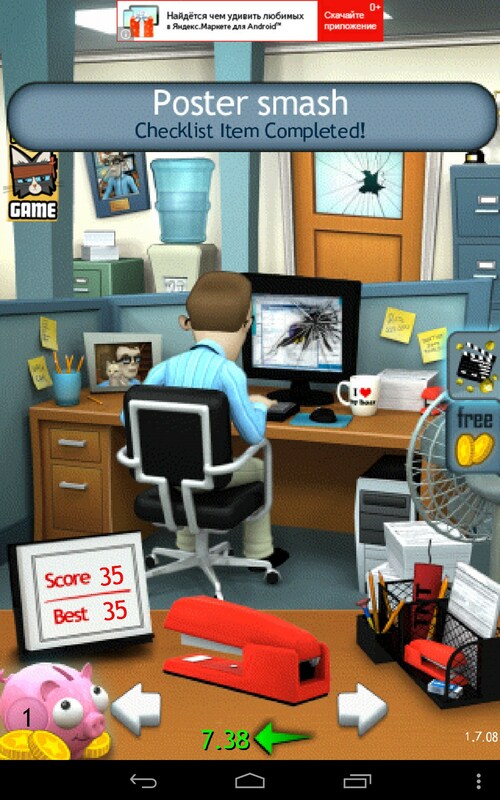 Office Jerk is a really simple, funny, and pretty violent arcade game for Android devices where you will need to mock at a white-collar sitting at his PC in the office. 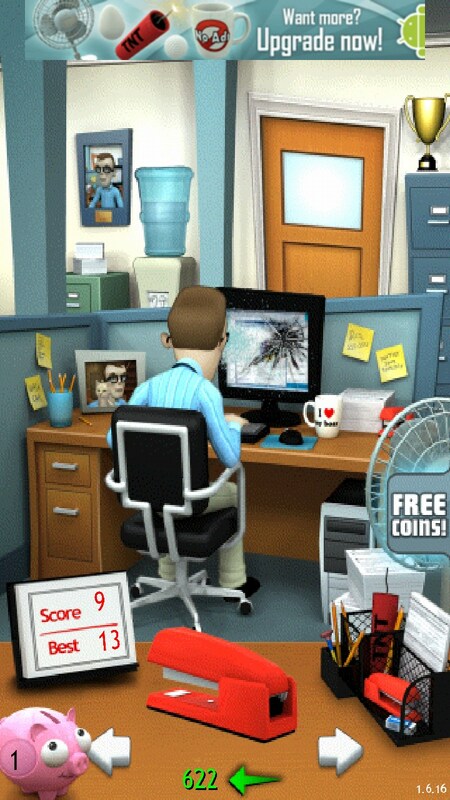 You will need to make him angry and throw various objects at him to complete challenges. 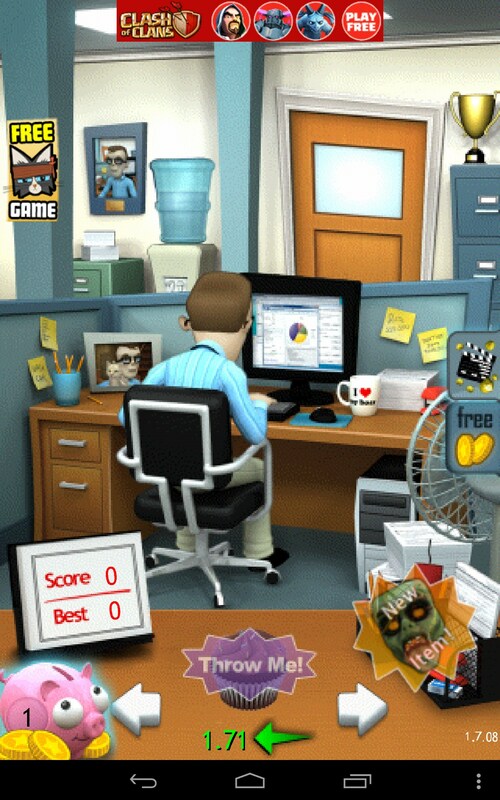 The game was developed by Fluik studio. It features simple but quality 3D graphics, lots of objects that will become your weapon, interactive environment with elements you can destroy, and lots of emotions that the main hero, Jerk, will be experiencing when you will throw things at him. Actually, there is no aim in this game. The plot tells us about a nasty office worm, one of these guys who come to the office first and leave last to flatter their boss. 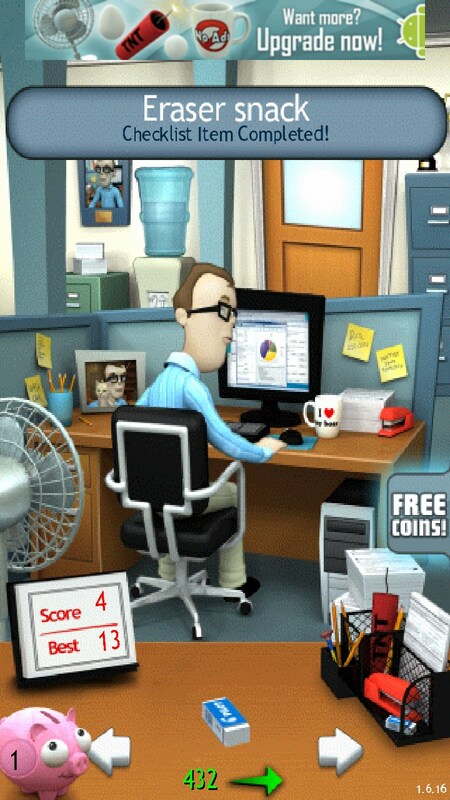 The developers did a great job and included all character and appearance peculiarities of an annoying office member in the main character. He will grin, laugh at you, or just keep silent. He is asking for it. You will have a wide selection of items (pencil, phone, stapler, or even applepie and more) that you will need to throw at him. By the way, apart from throwing objects at his head and face, you will also be able to hit break his monitor, photo, coffee cup, or even the door. Try it out, complete challenges, and make points. It’s both relaxing and exciting! Many challenges you can complete. 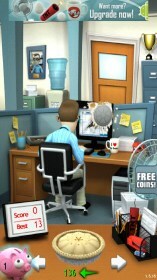 This game is a perfect example of a simple arcade for those people who’d like to work off steam. And though it’s really simple, we believe that it’s the main advantage of the game. 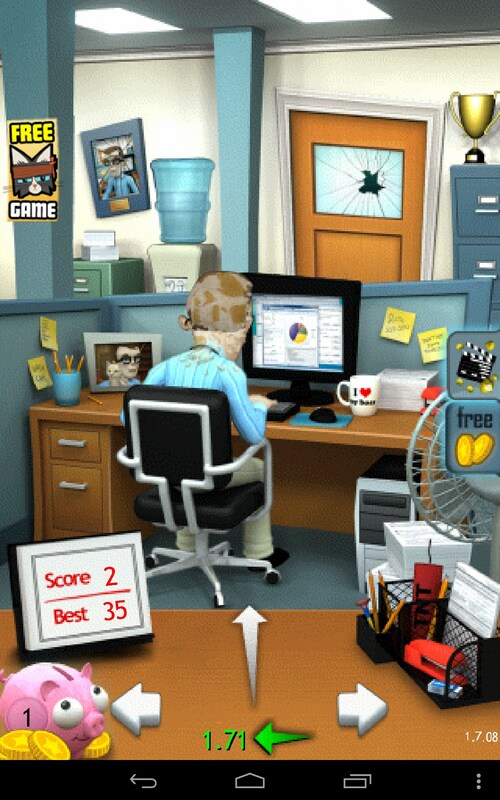 Office Jerk is a nice game for Android devices for those people who want to mock at an annoying office member and relax. Not working on my galaxy Young. Please fix some issues.